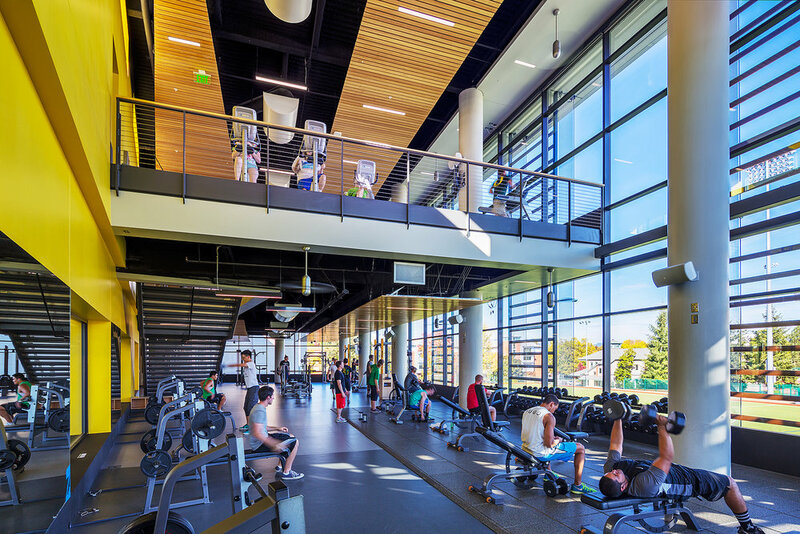 The University of Oregon Student Recreation Center Expansion and Renovation welcomes students with a series of dynamic, visually connected, flexible, and day-lit spaces. 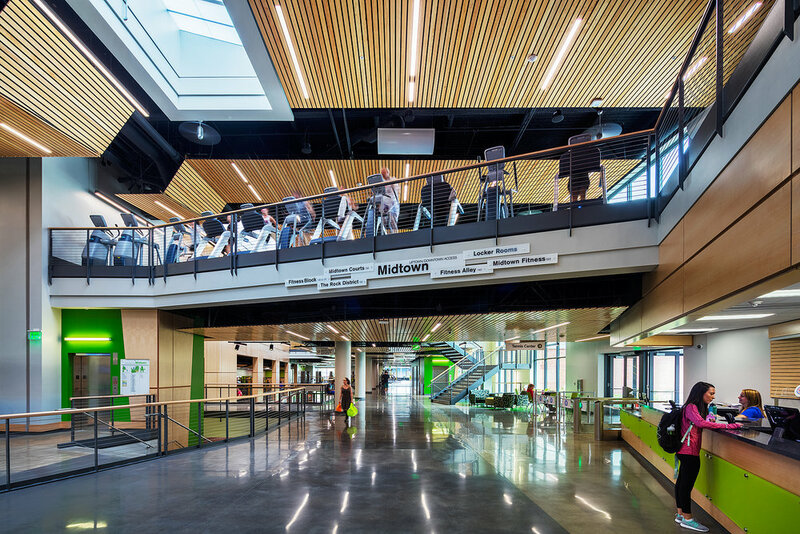 The design seamlessly connects to three existing buildings, enhancing the existing pedestrian path to the east of the building, inspiring and energizing students, promoting social interaction, and expanding upon current programs. 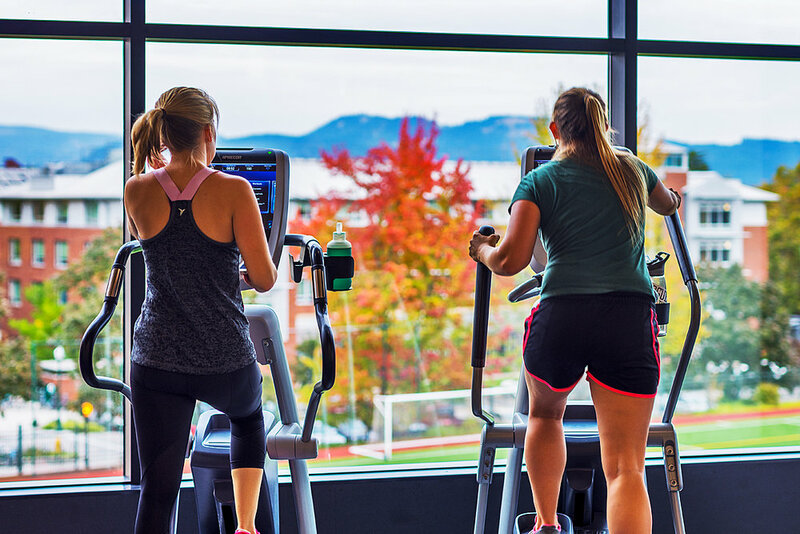 The Student Recreation Center Expansion includes a 12-lane lap pool, activity pool, spa, fitness wings, yoga room, functional training wing, bouldering wall, cycling room, 3-court gym, lounge spaces, locker rooms, and a 32-monitor display screen. 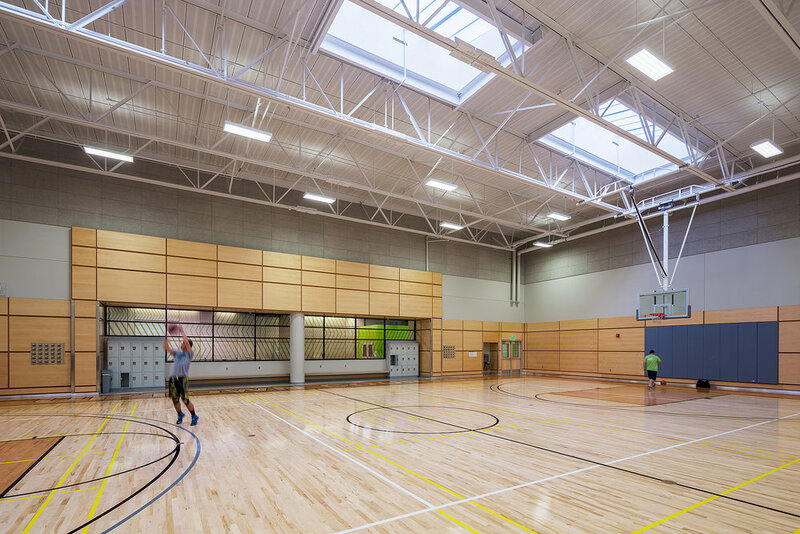 The building also offers a free-zone circulation path from the pedestrian path located to the east of the building up to the new social hub, Main Street. 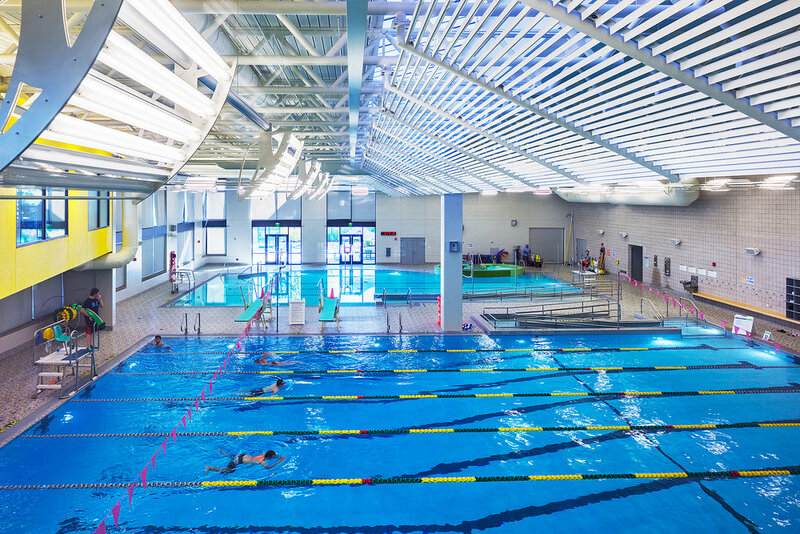 The new building showcases sustainability with its interactive kiosks, high performance heating and cooling systems, and rain water harvesting system for flushing toilets and irrigation. 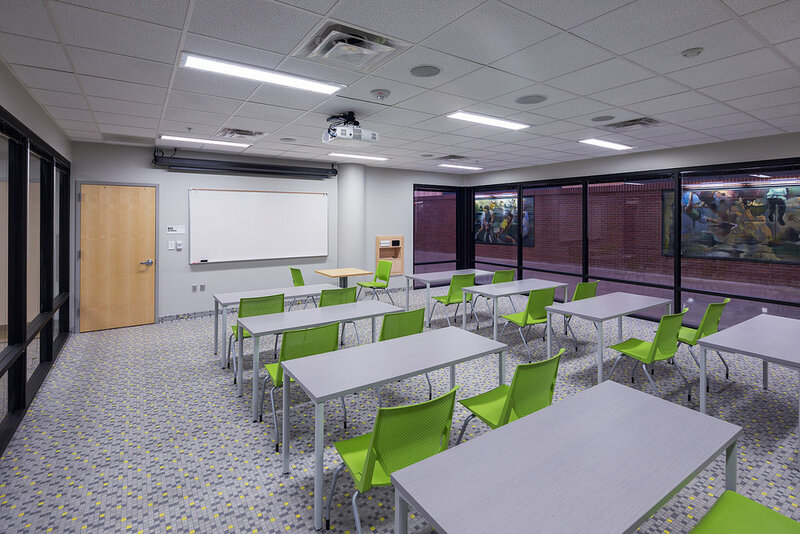 The new building meets Leadership in Energy and Environmental Design (LEED) Platinum certification. 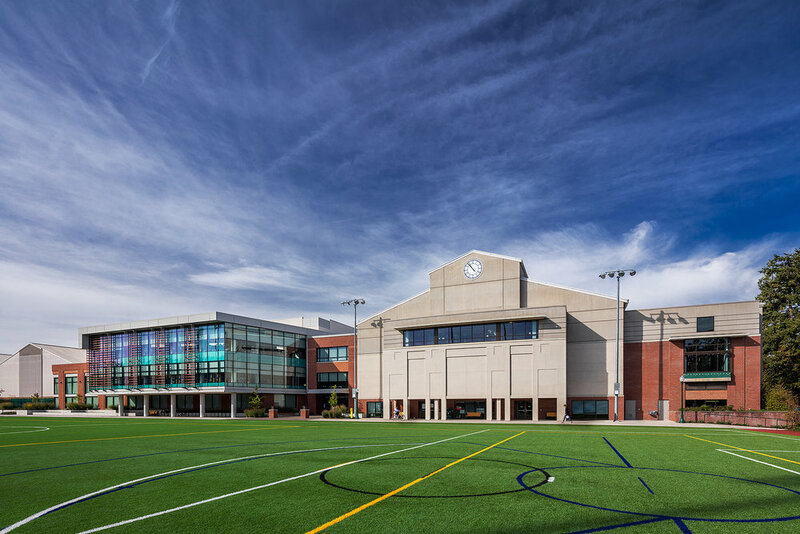 Designed for additional future expansion, this durable, attractive, and energy efficient structure will serve the University of Oregon for many years to come.